The Beeswax debate lives on in the dread community and with good reason. Truth be told, there are certain hair types that almost require wax or a similar substance to get things to really lock up but there are just as many reasons not to use wax as there are to use this product. 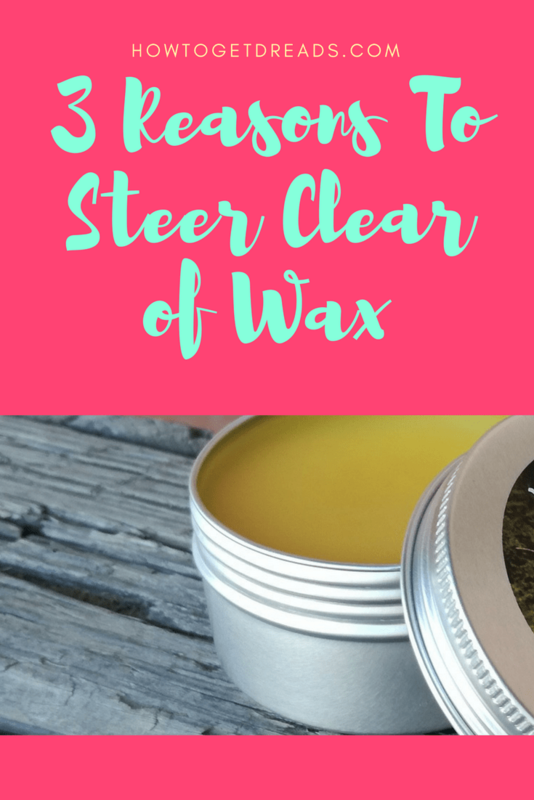 As stated, there are plenty of reasons and circumstances when wax would be necessary, but first, let’s outline a few reasons why steering clear of wax might be the way to go. For those of you that may be new here, beeswax is one of the supposed staples of getting dreadlocks, at least for the first time, to really lock things up and keep them together for the long run. It’s common for people who are doing their own dreadlocks to want to use wax and it’s just as common for professional hairdressers to choose to use wax as well. Some people swear by it, but others are able to dread just as well, if not better, without wax. Let’s get to it. If it wasn’t obvious when mentioning the word “wax” the consistency of the stuff is just what you think it would be. Sticky, hard, gooey, and a bit messy in all honesty. This is the first reason to consider avoiding wax because it’s a combination of putting glue, peanut butter, and candle wax into your hair and rolling it up tightly. As with those three listed products, the feeling is going to be in your hair for a long time. Yes, it will do its job of helping things stick together but your hands, your clothes, your hats and headgear, and your hair will also stick to everything. For some people with dreads, the feeling of wax is enough to convince them to avoid it. You want tight locks, of course, but you also don’t want a mess that’s going to cause more complications in the future. Wax is a heavy substance. It’s made to hold things together and by doing so, it holds your hair down. There will be little if any bounce in your dreads if you are using wax. That’s just the truth of the matter. Using wax will weigh down your hair which will often create a look that it’s exactly what you may have had in mind. If you do choose to use wax, this is the number one reason to use it sparingly and just a few times a week at most. The final issue with wax is that because of its consistency and weight, it stays in your hair way too long. It bogs down the growth, the shine, and the true color of your dreads. It is extremely difficult to wash out and takes a long time to make its way out naturally. You will be hunting for a special shampoo or trying to have it slowly washing out on its own and it won’t look pretty. Because wax stays in so long, it’s even more important for you to keep your dreads dry and free of any other residue. There have been instances where too much wax can start to hold onto moisture inside the dread and actually cause molding to occur. Now, there are just three of the various issues you might encounter when using wax, but there are also practical uses and particular cases where it might be necessary, in moderation. Once you get your own set of dreads, the rules are in your hands but doing your research and understanding the implications of each product you use, especially in the beginning of your dread journey, is highly important too.